Boris Godunov will be broadcast Live from the Met in HD on October 23. 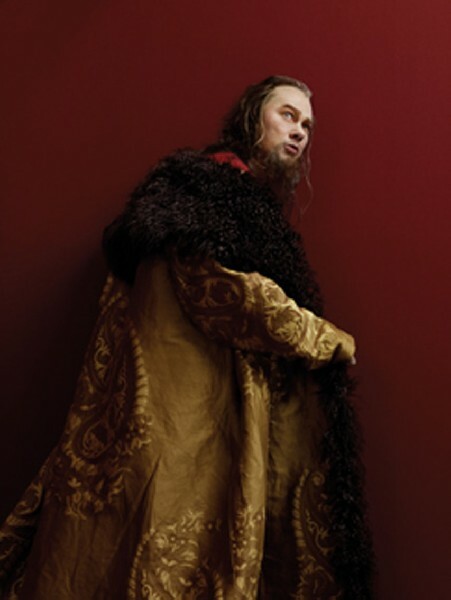 In Mussorgsky’s Russian epic, a tsar is haunted by guilt and self-doubt after murdering the child heir to the throne. When a young monk named Grigory claims to be the dead child and raises an army against Boris, a bloody insurrection follows, leading Boris to a tragic end. “There are two protagonists in Boris—the title character and the people he rules,” Wadsworth says. “Through Boris we see the private mind of a flawed leader, and through the chorus we see the volatility of a people skeptical about their leaders. Boris seems to me a good person who made a terrible mistake and ultimately cannot live with it. He yearns for his lost innocence.” The great German bass René Pape leads the cast in the opera’s title role; featured performers include Ekaterina Semenchuk as Marina, Aleksandrs Antonenko as Dimitri, Oleg Balashov as Shuisky, Evgeny Nikitin as Rangoni, Mikhail Petrenko as Pimen, and Vladimir Ognovenko as Varlaam. The Met: Live in HD series continues with Don Pasquale (November 13), Don Carlo (December 11), La Fanciulla del West (January 8), Nixon in China (February 12), Iphigénie en Tauride (February 26), Lucia di Lammermoor (March 19), Le Comte Ory (April 9), Capriccio (April 23), Il Trovatore (April 30), and Die Walküre (May 14).